However, not everyone is able to enjoy the benefits of this boom. Despite fueling the engine of the British Empire, workers’ lives are little more than legalised slavery while the top few percent profit from their labour. Living poor and dying young, the lower class unite together in protest as a new kind of family – gangs – who turn to a life in the underworld in their struggle to survive. 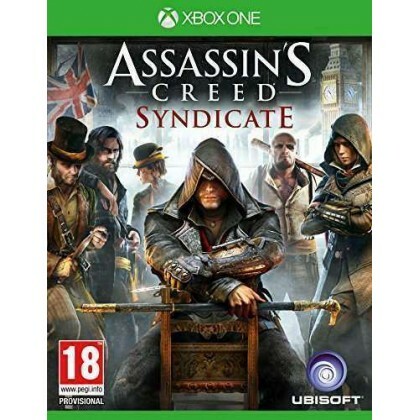 A struggle, until watchful Assassins come to their side and re-ignite an age-old conflict involving London’s leaders that will echo throughout modern history from the underground, up. THE FIRST ASSASSIN AT THE BIRTH OF THE MODERN AGE — As the brash, rebellious Jacob Frye, throw up your dukes and take on enemies with lightning-fast multi-kills and counter moves. Use improved stealth tactics to elude your enemies, then unleash your arsenal of all-new weapons including the kukri knife, brass knuckles and cane sword. Utilise new technology like the rope launcher to scale buildings in seconds and take your enemies by surprise. TRAVERSE THE FAST-PACED WORLD OF INDUSTRIAL LONDON — From Buckingham Palace to Whitechapel, fight and triumph across the massive open world of Victorian London. Parkour across moving vehicles to track down enemies or escape after a daring raid. Hijack carriages and engage in no-holds-barred street races or blaze a trail of destruction aboard steamboats on the River Thames. TAKE-OVER THE LONDON UNDERWORLD — With Jacob as the leader, gamers can establish Great Britain’s fiercest gang, the only force that can challenge the plutocrats and defeat rival gangs, to bring freedom to the oppressed masses. Enemy strongholds can be infiltrated by using an arsenal of weapons to dominate London’s underworld. From robbing trains to rescuing child labourers, players will stop at nothing to bring justice to London’s lawless streets.